Born and raised in Calgary, Giller Prize-winner Esi Edugyan of Victoria has degrees from John Hopkins and UVic. Esi Edugyan's second novel, Half-Blood Blues (Thomas Allen $29.95), about black jazz musicians in Berlin during the late 1930s, gained global interest when it was shortlisted for the Man Booker Prize in 2011. Among the black musicians whose lives are threatened by the onset of World War II, there's a brilliant trumpet player, Hieronymus, and a narrator, Sid, who uses a distinctive German-American slang. Half-Blood Blues was slated to be published by Key Porter Books until the Canadian imprint shut down in 2011, but it was published on schedule in the UK by Serpent's Tail. Her husband Steven Price, whose first novel was published in the same year by Thomas Allen, was instrumental in encouraging editor Patrick Crean to read the manuscript and accept it for Thomas Allen in Canada, in 2011. Having just given birth to her first child in Victoria, Edugyan found herself simultaneously a finalist for the 2011 Scotiabank Giller Prize, the 2011 Governor General's Award for Fiction, the 2011 Man Book Prize for Fiction and the 2011 Rogers' Trust Fiction Prize. She appeared as a panelist at the Vancouver Writers and Readers Festival in October, 2011, and was notified she had won the Giller Prize in November. [See below]. The following year it was also shortlisted for the Walter Scott Prize for historical fiction and it received the Anisfield-Wolf Book Award in Cleveland. Her third novel, Washington Black, about a man who escapes from slavery in Barbados during the 19th century, was immediately shortlisted for the Man Booker Prize, the Rogers Writers' Trust Fiction Prize and the Giller Prize. On the faith plantation in Barbados, at the outset of Esi Edugyan?s novel Washington Black, slaves are routinely whipped to shreds, hanged above the fields, or shot. Suicide is a tempting way out, especially for those who believe the dead are reborn in their homelands to walk free again. Big Kit plans to return to her native Dahomey [now the Republic of Benin] by killing herself and the boy she cares for, eleven-year-old George Washington Black. ?What it like, Kit? [to be] Free?? he asks. Erasmus Wilde, their brutal master, curtails their plan. When another slave commits suicide, he decapitates the corpse, declaring, ?No man can be reborn without his head.? That same day, ?Wash? is loaned out to Titch, the master?s brother, because his size makes him ideal ballast for Titch?s aerial balloon, the cloud-cutter. Wash learns to read and sketch botanical specimens, developing skills that Titch exclaims, ?You are a prodigy, truly!? And so his ascendancy begins; and this story moves from the Caribbean, to the east coast of Canada, and onto London, England. In her two previous novels, Esi Edugyan has described black men of exceptional talent struggling against the annihilating forces of racism in the 20th century. Once again, she writes from the point of view of a man (one of relatively few female authors to do so consistently) using his narrative voice. Washington Black?s speech evolves from that of an enslaved child to that of a young man capable of astute observations and poetic eloquence. But this time her episodic story is wide in scope, full of action and panoramic in its geographical range. It is a mark of Edugyan?s versatility that her latest novel is a complete departure in form from The Second Life of Samuel Tyne (Knopf, 2004), about a man from Ghana who raises his family in Alberta; and Half-Blood Blues (Thomas Allen, 2011), about black jazz musicians in Berlin during the late 1930s. Setting Washington Black in the 1800s, she adapts the sprawling, capacious 19th century novel to her purpose. That century is notable for its great scientists and explorers. In Washington Black she emphasizes throughout, the contradiction between their increased knowledge of the natural world and their blindness to the suffering of most of its human population. In the story, fictional men of science (vaguely reminiscent of Darwin, Franklin and Gosse) react incredulously to Washington Black?s achievements. Wash says of one of them, ?I felt as if he were watching some insensible creature perform an unnatural act, as if a hot house plant had learned to speak.? Edugyan?s large cast of idiosyncratic characters includes Wash?s nemesis, John Willard, a soft-spoken villain whose impeccable manners belie his ruthlessness as a bounty hunter; identical twins Benedikt and Theo Kinast, the captain and the surgeon of the Ave Maria with a crew of rescued orphans; Edgar Farrow, the sexton of St. John?s parish in Norfolk, Virginia, who studies rotting human flesh, and smuggles runaway slaves to safety; and Peter Haas, a Dutch mute who speaks with his hands. Most closely entwined with Wash?s destiny is the Wilde family. Besides the savage Erasmus and the abolitionist Titch, it includes the patriarch James, an arctic explorer unwilling to communicate with his fellow men; his eccentric wife back at the family estate in England and a cousin, Philip, who visits the Faith plantation. It is Philip who seals Wash?s fate in Barbados. It is giving too much away to describe how and why an F is branded onto our protagonist?s chest, or why there is a huge reward for his capture. Or how Titch engineers his escape. Or why Wash rejects his chance for freedom in Upper Canada and instead accompanies Titch to Hudson?s Bay. Eventually our hero reaches Nova Scotia in 1834 where slaves are technically free. The Slavery Abolition Act applies to British Colonies. ...there could be no belonging for a creature such as myself, anywhere: a disfigured black boy with a scientific turn of mind and a talent on canvas, running, always running, from the dimmest of shadows. On the shores of Labrador, after a fortuitous meeting with a distinguished marine biologist and his daughter, Wash becomes a deep sea diver, bringing to the surface rare sea creatures, and even designing the glass tanks in which they can be displayed alive. The crowning achievement of his life is the creation of Ocean House in London, a gallery of aquatic life. As the story unfolds, Wash will witness the gruesome death of John Willard and embark on a quest to discover if Titch is still alive, but his major contribution to Ocean House will not be acknowledged, his name will be erased from the record. With much dexterity, Edugyan describes how her protagonist makes sense of injustices and cruelties. While the storyline is engaging, it is her imagining of his inner self that makes this story redolent with sophistication and empathy. An octopus provides the most resonant image for this novel. As Wash descends underwater he sees ?a flaring orange creature radiating like a cloth set afire, its arms boiling all around it, the suckers very white... an animal that can change itself to match its surroundings, just by contracting its skin.? This meeting is poignant. He imagines this sentient female creature scorning ?the sad rigidity of a boy, the uselessness of his hard inflexible bones.? But the octopus inks him playfully, and looking at him with her small gelatinous eyes, she swims directly into his hands. He tends to her lovingly; he brings her to England so that others might appreciate her beauty. Outside her natural medium, she cannot thrive. Watching her saddening decline, he sees ?not the miraculous animal, but my own slow, relentless extinction.? This is a story that goes to great depths; it?s deserving of the attention it is receiving. TORONTO, Nov. 8, 2011 /CNW/ - Esi Edugyan has been named the 2011 winner of the Scotiabank Giller Prize for her novel Half-Blood Blues, published by Thomas Allen Publishers. The announcement was made at a black-tie dinner and award ceremony hosted by Jian Ghomeshi, attended by over 500 members of the publishing, media and arts communities. The gala was broadcast live on CBC's bold, livestreamed on cbc.ca/books, and aired on CBC Television at 11:05 p.m. (11:35 p.m. NT). The shortlist was chosen from an unprecedented 143 books submitted for consideration by 55 publishing houses from every region of the country. "Imagine Mozart were a black German trumpet player and Salieri a bassist, and 18th century Vienna were WWII Paris; that's Esi Edugyan's joyful lament, Half-Blood Blues. It's conventional to liken the prose in novels about jazz to the music itself, as though there could be no higher praise. In this case, say rather that any jazz musician would be happy to play the way Edugyan writes. Her style is deceptively conversational and easy, but with the simultaneous exuberance and discipline of a true prodigy. Put this book next to Louis Armstrong's "West End Blues" - these two works of art belong together." As a novel about black or "half-blood"; musicians in Berlin and Paris whose lives are threatened by the onset of World War II, Esi Edugyan's Half-Blood Blues first came to international attention when it was shortlisted for the Man Booker Prize in England, where it was first published. Her sophomore novel, Half-Blood Blues has since won the $50,000 Giller Prize in Canada. It was also shortlisted for a Governor General's Award and the Rogers Writers Trust Fiction Prize. Publication was delayed in Canada with the demise of Key Porter Books. Edugyan's husband Steven Price, whose first novel was published by Thomas Allen in Ontario, encouraged his editor Patrick Crean to read the manuscript and accept it for publication. Edugyan soon found herself a finalist for four major literary awards, having just given birth to her first child. Born and raised in Calgary, Edugyan lives in Victoria. 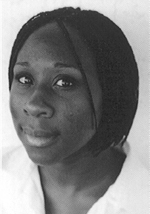 We asked Joan Givner to review both of Esi Edugyan's novels. In both her novels, Esi Edugyan illuminates little-known corners of black history, and shows the forces of racial hatred militating against, and ultimately destroying, the black person of extraordinary talent. This bleak chronicle has a cast of grotesques-monstrous twins (right out of Marjorie Wallace's 1986 book, The Silent Twins), and the town's deputy mayor and his wife, a red-neck couple that arrives on Tyne's doorstep shouting, "Call the Guinness Book-we made it here in less than a month. "; Even the comedy of their antics and dialogue cannot relieve the overwhelming heaviness of the story. It was a plague sent out by the dread black hordes, engineered by the Jews. Us Negroes, see, we was only half to blame-we just can't help it. Savages just got a natural feel for filthy rhythms, no self-control to speak of. arrive as the army of occupation moves in. We talked like mongrels see-half German, half Baltimore bar slang. Just a few scraps of French between us. Only real language I spoke aside from English was Hochdeutsch. The idiom they improvise is as spontaneous, lively, and rhythmic as their music. It allows the witty repartee of Chip Jones to run counterpoint to the harrowing events, creating a sustained chiaroscuro effect. The novel's other stylistic distinction is the perfectly calibrated, cyclical arrangement of the six sections, alternating between past and present. Only at the end, do the implications of the opening segment become clear. The scenes-a meeting in a disused Jewish bath house, hiding out in an abandoned night club, waiting for forged papers in the baronial manor of a prominent official, a side trip to Hagenbeck's "human zoo"; outside Hamburg, lying low in a dingy Montmartre apartment-provide a panorama of life in Nazi Germany and of Paris in the first months of the occupation. a list of sources authenticates Edugyan's picture of Afro-Germans, blacks and jazz musicians in the Third Reich. She also includes a true portrait of Louis Armstrong among her characters. It emphasizes Armstrong's commitment to Judaism, the legacy of his childhood, when he was nurtured by a Jewish family in New Orleans. Armstrong is seamlessly integrated into the plot when he passes on the mantle of his genius to Hieronymus. Gifts is divided so damn unevenly...In every other walk of life, a jack can work to get what he want. But ain't no amount of toil going to get you a lick more talent than you was born with. Geniuses ain't made, brother, they just is. And I just was not. The writer's only responsibility is to his art...he has a dream... If a writer has to rob his mother, he will not hesitate; the "Ode on a Grecian Urn"; is worth any number of old ladies. It is the divine madness of art that produces the things of value (often mere shards) that we find again after the destruction ends and the tides of ignorance and hatred recede. Biographer and novelist Joan Givner writes from Mill Bay.